2.25 in. x 4.75 in. x 3.25 in. The Mint is the most innovative machine we have at Silhouette. It differs from other members of the Silhouette family because it is not a cutting machine. The Mint is a custom stamp maker, and it will change the way you stamp. In four easy steps and less than two minutes, you can have a completely original, custom-made stamp. It is as easy as designing it, Minting it, inking it, and stamping it. Once it’s inked, your stamp is good for 50+ stamps (but it often lasts a lot longer). 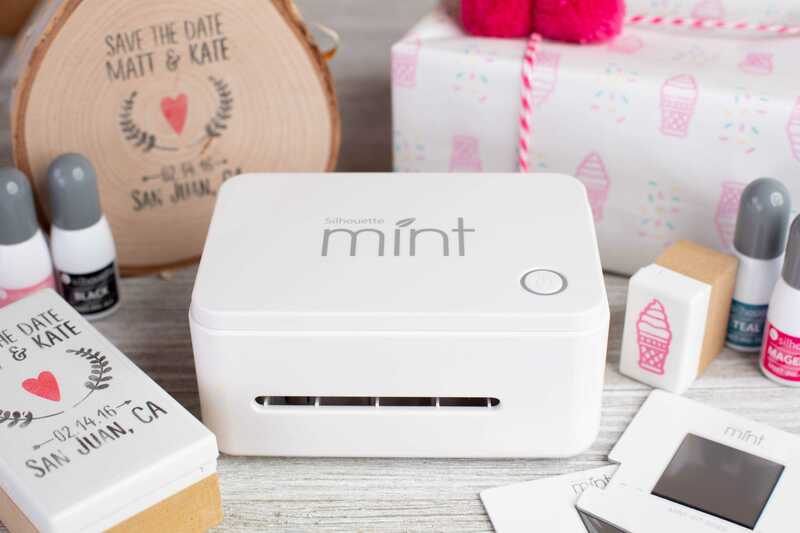 The Mint is small and takes up roughly the same amount of desk space as your smartphone. But don’t let its size fool you. The Mint is powerful enough to create stamps sized anywhere from the size of a postage stamp to the size of an index card. And because you apply the ink directly to the stamp, you precisely control what color goes where when making multicolored stamps. View the video. With the Silhouette Mint™, you can make custom stamps quickly and easily. 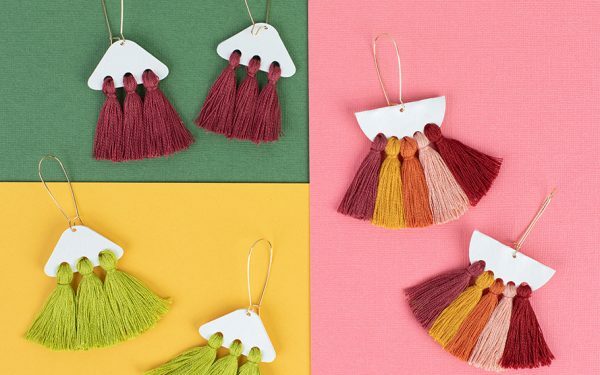 You can turn any design or photo into a full-color, reusable stamp. 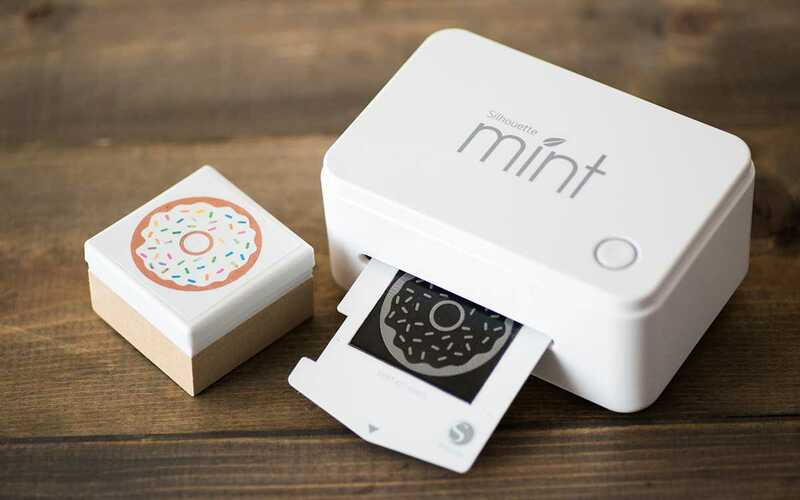 The Mint is different than a traditional stamp that requires an ink pad. In fact, you’re not using a pad at all. 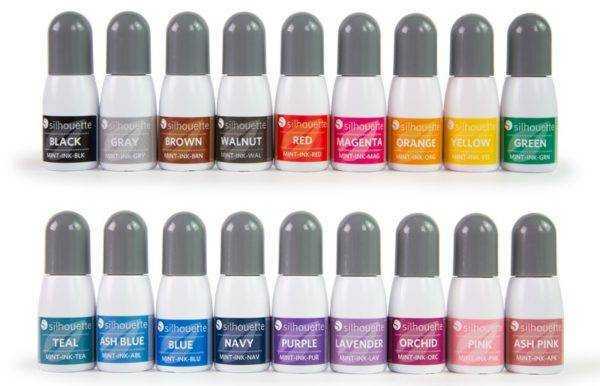 The Silhouette Mint™ uses 5 ml bottles of ink applied directly to your stamp. The stamp will then absorb the ink, enabling it to stamp approximately 50 images before the stamp dries up. After that, just add a few more drops of ink and you’re ready to go again. Each 5 ml ink bottle has enough ink for hundreds of projects and thousands of stamps. The Mint uses thermal printing to create 3D reliefs of your design, making even the most intricate details visible. 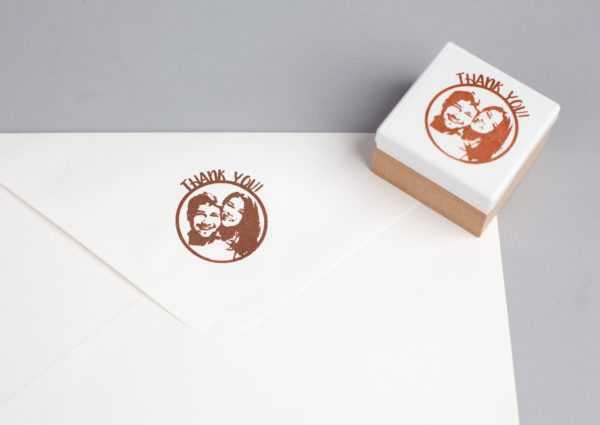 You can turn almost any design in the Design Store into a custom stamp. It even works with photos, too!